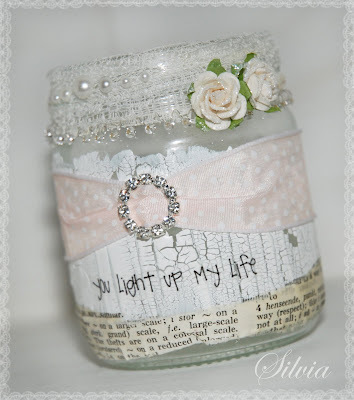 Shabby Chic Silvia: You light up my life! Yes you do! With all your sweet words and comments! This is a lightjar I made for Papir i Hjertet a few weeks ago. I will be back as soon as I get home with some new projects! Dååån.... Du lager de lekreste saker!!!!! Nyyydelig!!!! Love the jar, sentiment is so perfect! 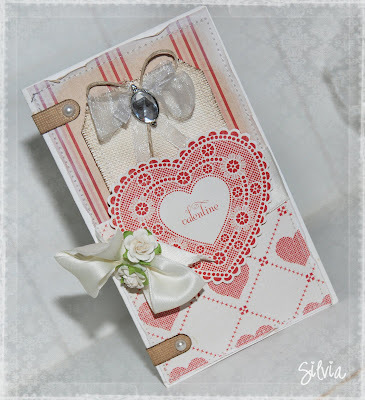 Just found your blog via Melissa Frances - and wow your creations are stunning!! I could spend every day just admiring your creations! Greeetings from Miami, FL...your work is beautiful!!! I have just discovered your blog today. this little jar is so perfectly shabbily beautiful:) i love your blog! Oh, that jar is amazing! Love the crackle!